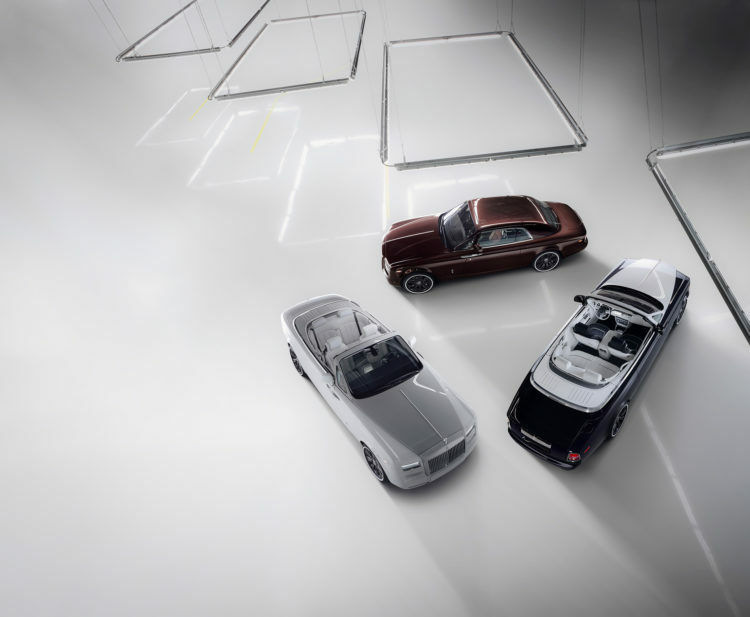 From the inception of the marque 113 years ago, Rolls-Royce Motor Cars has offered to its customers exquisite blank canvas from which to express their tastes, lifestyles and passions. Where once this fell to independent coachbuilders, the execution of the most unique Rolls-Royce cars is now performed by the marque’s Bespoke department, a collective of extraordinary designers, engineers and craftspeople at the marque’s center of excellence in Goodwood, England. True luxury is therefore deeply personal and, commissioning a Rolls-Royce a process more akin to the creation of a work of art. 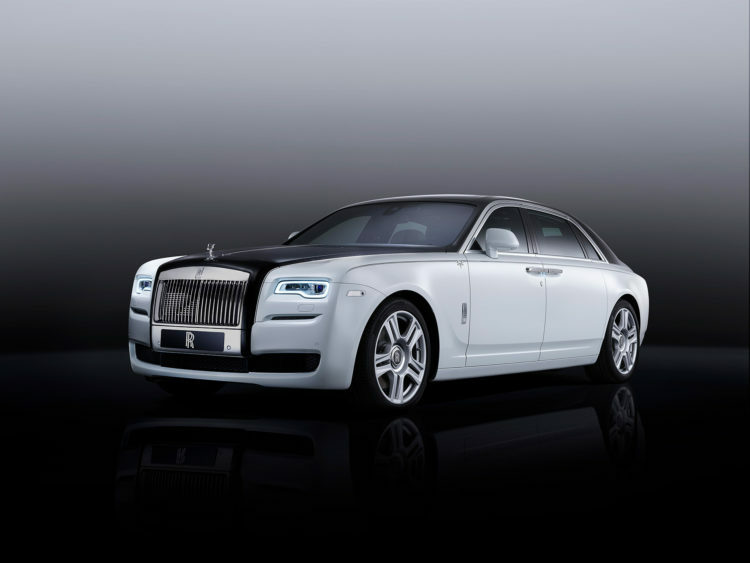 “Rolls-Royce patrons live in a world beyond material acquisition, indeed they seek to commission, curate and collect. This is why they come to houses like Rolls-Royce to commission deeply personal luxury items, knowing this will be executed at the hands of the world’s most skilled artisans. 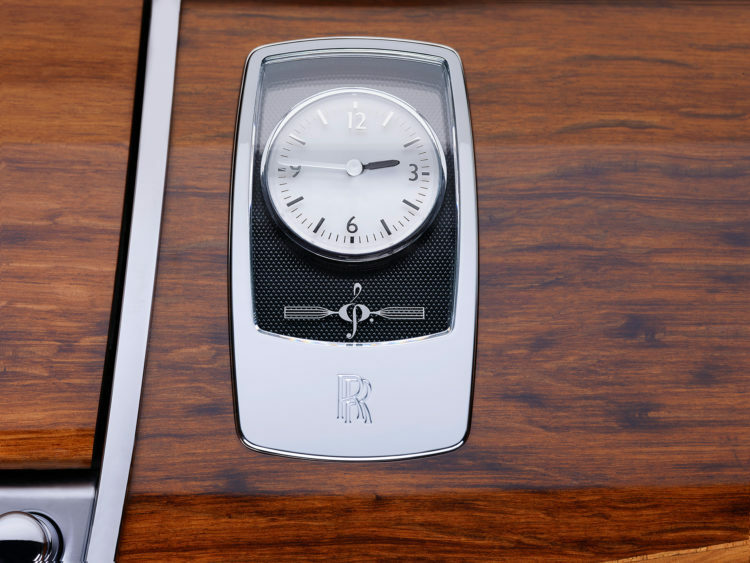 In commissioning these extraordinary objects in close collaboration with our designers they create a timeless legacy, often profoundly inspired by the most important moments in their lives” said Torsten Müller-Ötvös, Chief Executive, Rolls-Royce Motor Cars. 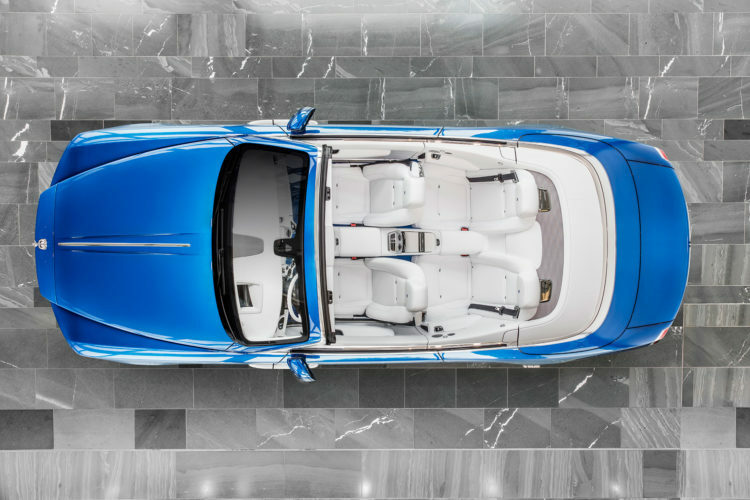 Now Rolls-Royce gives us a closer look at some of the best bespoke creations in 2016. 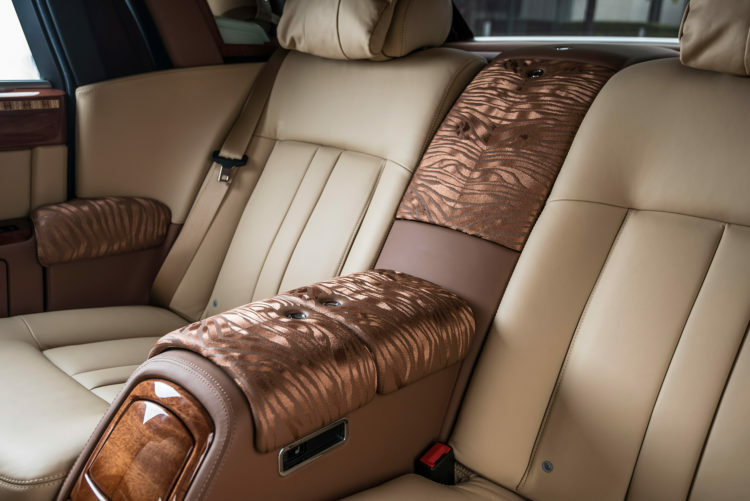 One of the final Bespoke commissions of the seventh generation Phantom Extended Wheelbase was crafted for a Vietnamese entrepreneur, showcasing the ingenuity and application of the marque’s craftspeople through the art of embroidery. 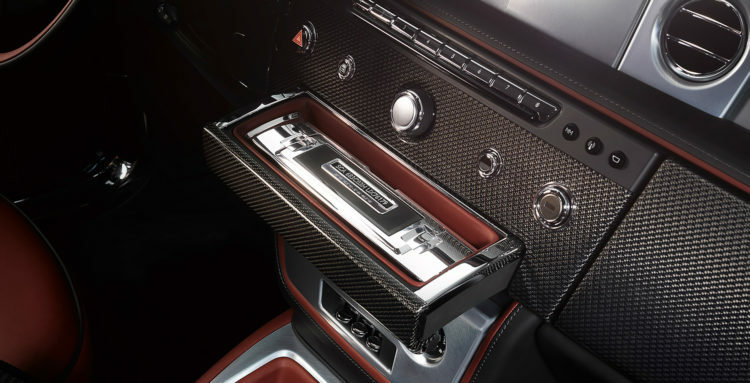 In this instance they exquisitely replicate the pattern of tiger fur in the rear centre console. Beyond that, this stunning example features a wealth of unique interior fittings, echoed with a subtle gold coachline and motifs on the Madeira Red exterior. 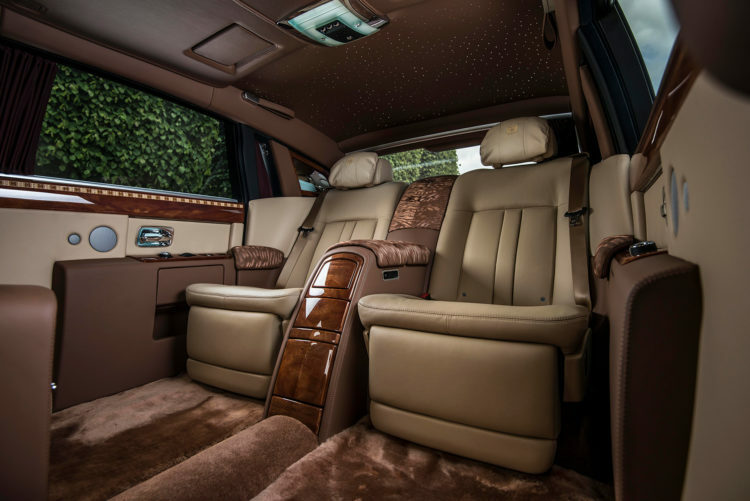 The cabin of this Phantom is furnished in a two-tone design of Moccasin and Fawn Brown leather, and is embellished with multiple personalized motifs stitched into the hide and laid into the veneer, all by hand. Bespoke white instrument dials contrast with a Consort Red steering wheel rim – elegantly expressing the breadth of color palette at the disposal of the marque’s patrons when creating truly unique Bespoke commissions. 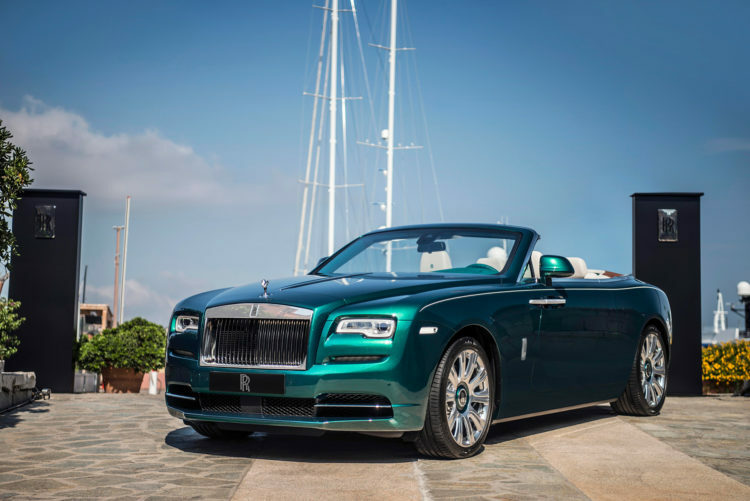 US collector Michael Fux, a connoisseur collector, delights in challenging Rolls-Royce’s designers and craftspeople to develop truly unique materials, hues and features. 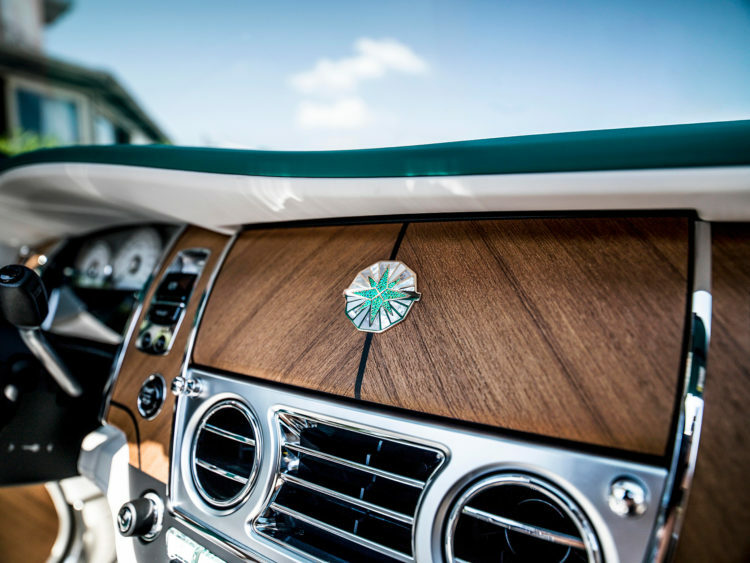 The results, serve as some of the boldest and most emblematic examples of Bespoke design ever executed at the marque’s centre of excellence in Goodwood. 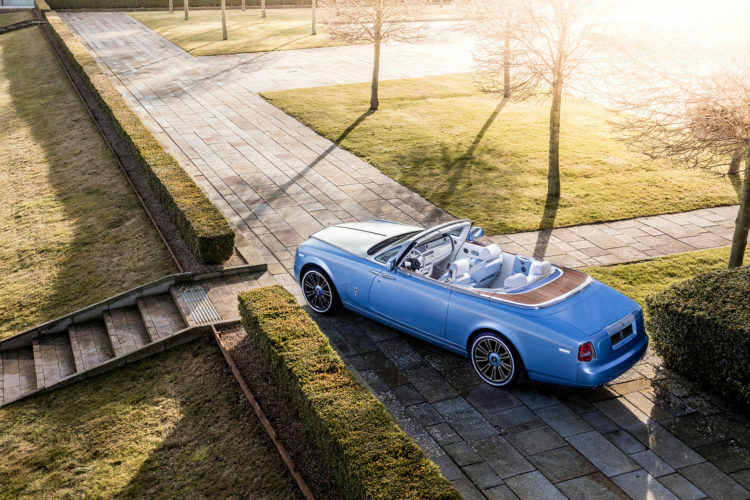 When Mr Fux came to commission his first Dawn for handover at Pebble Beach, he came to develop his very own colour, dubbed ‘Fux Blue’, which will remain reserved for his exclusive use. 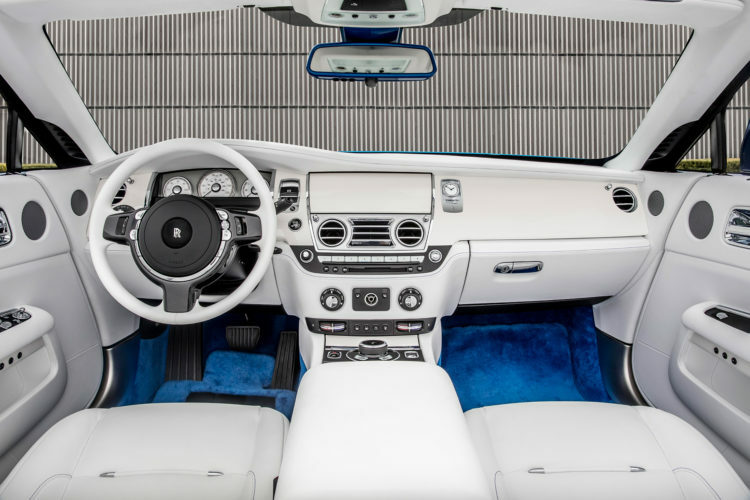 The stunning exterior shade is complemented by a blue hood in the same tone, in contrast to the Arctic White rear deck and fittings to the interior. In order to ensure perfect sartorial harmony, the marque’s designers clothed the entire interior including steering wheel, instrument panel cowling and interior veneers in Artic White, creating a truly unique and contemporary aesthetic. Cultural emblems and stories so often inform the vision of the marque’s patrons, as beautifully displayed in this commission by a gentleman in Taiwan. This elegant Phantom Drophead Coupé was one of the very last built and incorporates a number of Bespoke features of regional significance. The exterior is finished in Silverlake with an Andalusian White bonnet and an engraved Spirit of Ecstasy in gold. Hints of gold are also incorporated in the Bespoke twin coachlines and the pinstripes circling the wheel centres. 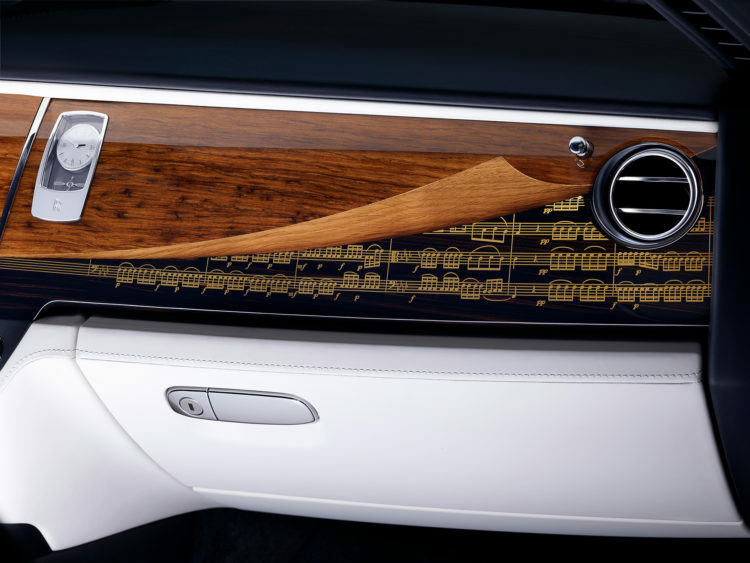 The headrests are embroidered with an illustration of the blue magpie, a bird which can only be found in the owners’ homeland of Taiwan, while Mother of Pearl inlays sit within the veneers, instrument dials, clock and control knobs. Attention to detail even extends to the car’s boot floor, which is is uniquely finished in teak with white maple inserts. 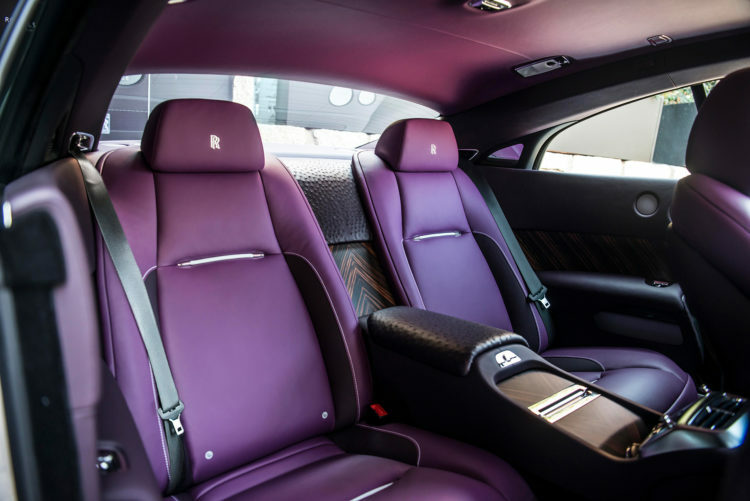 Rolls-Royce style, every possible comfort was considered. 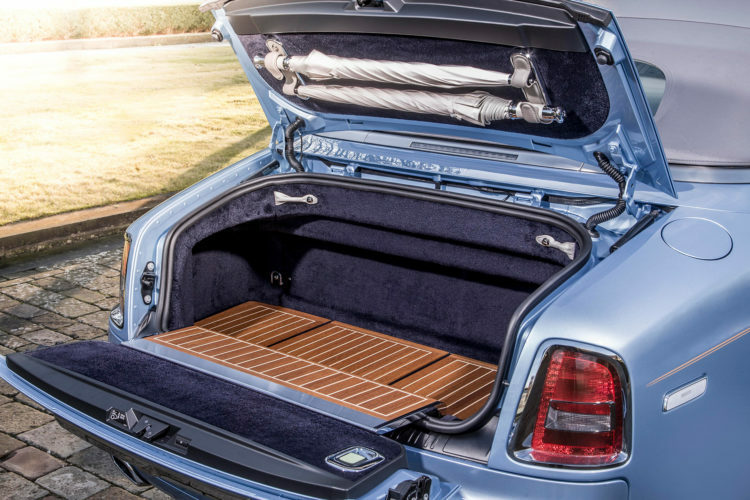 For example, enhancements to the rear-split tailgate included a meticulously engineered and crafted glass-shelf from which to serve champagne, whilst the luggage compartment proved the perfect staging point for a civilised rest-stop when touring. 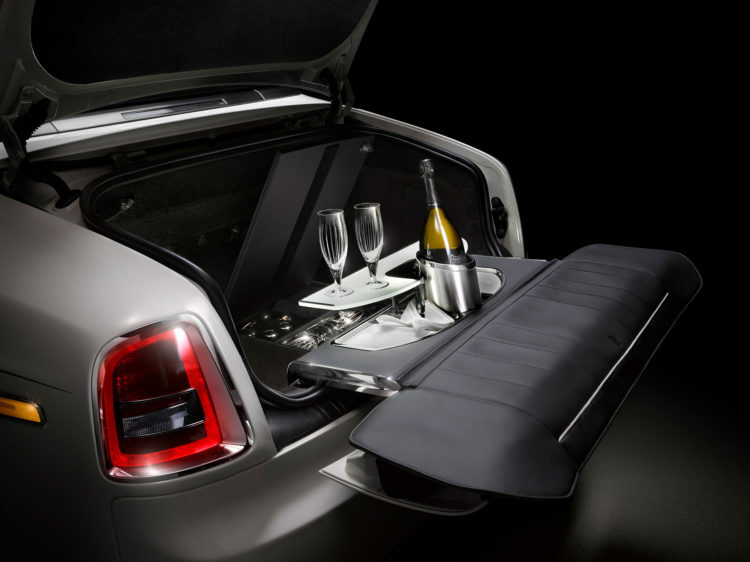 Flourishes like the addition of champagne fridge, large enough to hold two bottles and eight Rolls-Royce glasses served to demonstrate Rolls-Royce’s unique understanding of its patrons.